The purpose of the freezer fan, sometimes called the evaporator fan, is to circulate cold air through the freezer and into the refrigerator. If your freezer or refrigerator feels warm, you might think that the fan isn't working, and you might wonder if it needs to be greased. Unfortunately, the motor that powers this fan cannot be greased or even repaired. If it breaks down, it will have to be replaced. Before you call a professional, however, make sure the fan is really malfunctioning. Several other factors may be causing the problem. A malfuntioning freezer fan cannot be lubricated. Open the freezer door and listen for the fan. It is normal for it to click off periodically -- about once every seven hours when the self-defrosting system comes on. If you don't hear it running, wait another hour or so and listen again. Check the temperature of the refrigerator, and check the vent. Freezer-refrigerator units have a vent in the shared wall that allows the cold air to move from the freezer to the refrigerator. If the air in the refrigerator feels warm, place your hand in front of the vent. If you feel air moving through the vent, the freezer fan is working fine and the problem lies elsewhere. Look at the fan. The freezer fan is located near the evaporator coils, which are located behind the back panel of most freezers. Unplug the unit and remove the back panel. If you see frost and ice on the coils and fan blade, this could be the problem, and it indicates an issue with the self-defrosting system. Remove the food and let the freezer defrost for about two days, letting the ice melt off of the fan. Then plug it back in and see if the fan works. Take note of any strange noises the fan makes. This, even more than warm temperatures, is a definite sign of a malfunctioning freezer fan motor. If you hear chirping, squeaking or even groaning -- and the sound is louder with the freezer door open -- the motor likely needs replacing. If you determine that it is not the fan that is causing the problem, call a professional anyway. Unfortunately, the other cooling components in the freezer -- the self-defrost system and the evaporator coils -- are not easily repaired either. Is it Dangerous if My Refrigerator Is Humming? 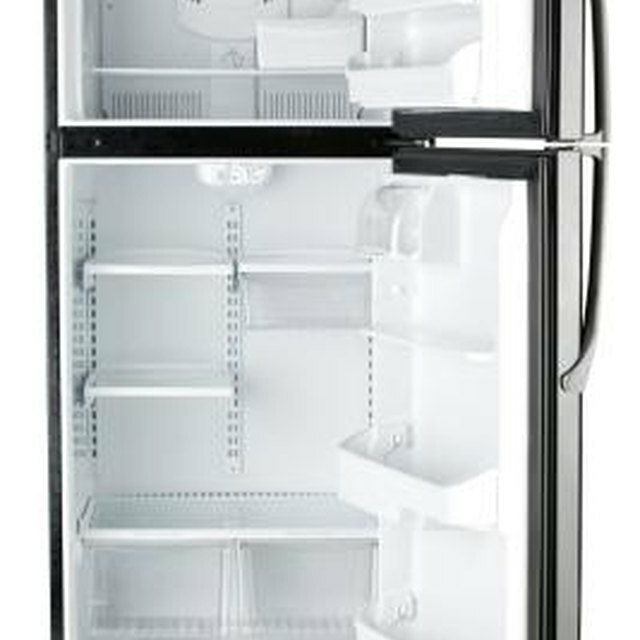 What Causes a Refrigerator to Defrost & Refreeze?